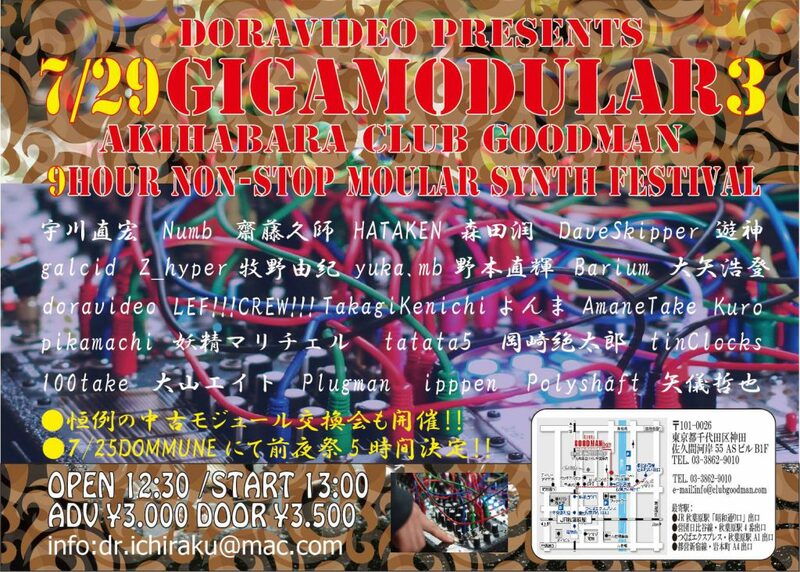 Hisashi Saito will play at GIGAMODULAR on the 29th of July @ Akiharbara goodman. It’s the festival of modular artists! !